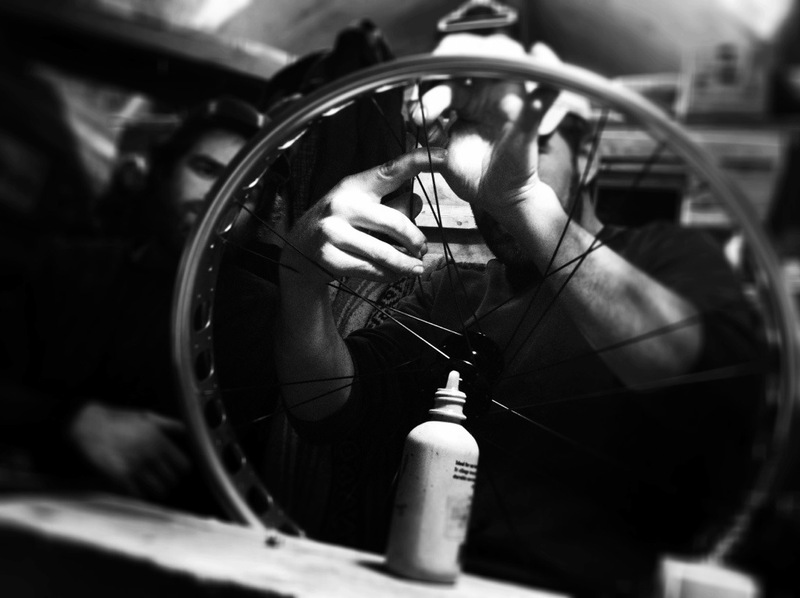 It’s the wheels that make the bicycle. They’re what keeps you rolling, what takes the brunt of the impact through that rock garden or off that drop. 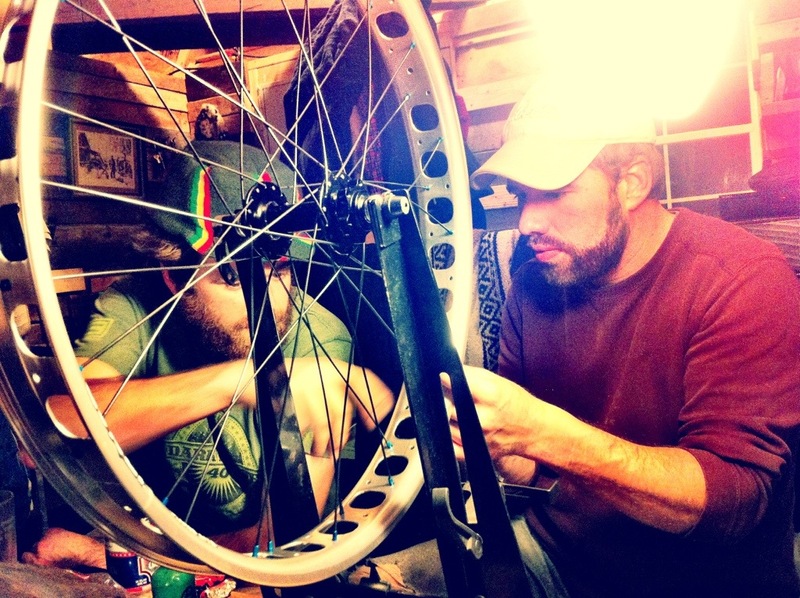 A bad pair of wheels quickly ruins a great bike. So, needless to say, they’re important. 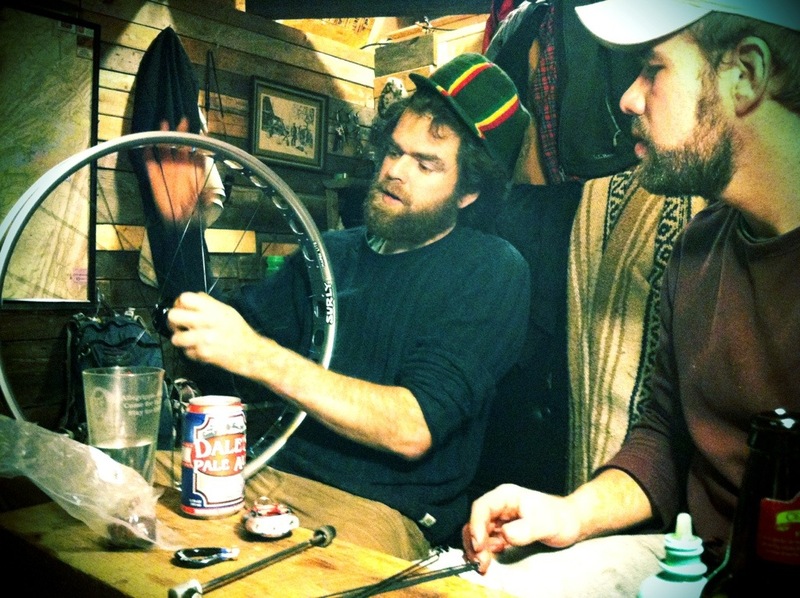 And so, for this reason, hand-building a bicycle wheel is an incredibly satisfying endeavor. 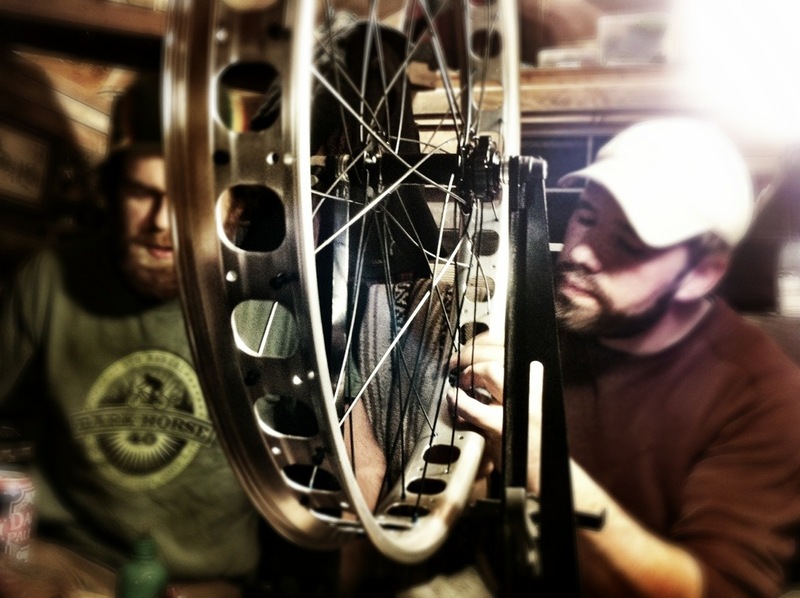 I learned this a few weeks ago, when, with Evan’s guidance, I built my new front wheel, a Surly Marge Lite fat rim. 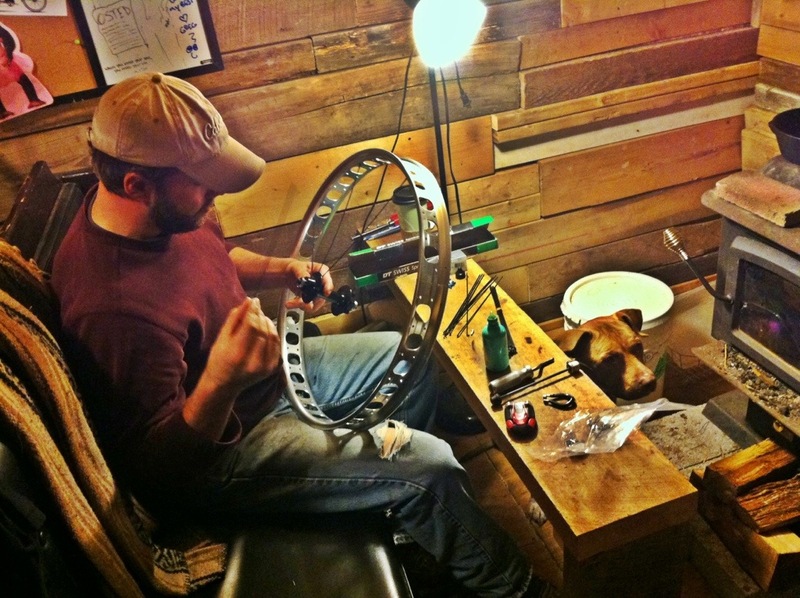 Once you get the hang of it, you find yourself falling into an almost zen-like relaxation, a rhythm of threading spokes and tightening them, checking and rechecking its trueness, and finally, the pride and satisfaction of looking at your now-completed wheel build by your own hands. 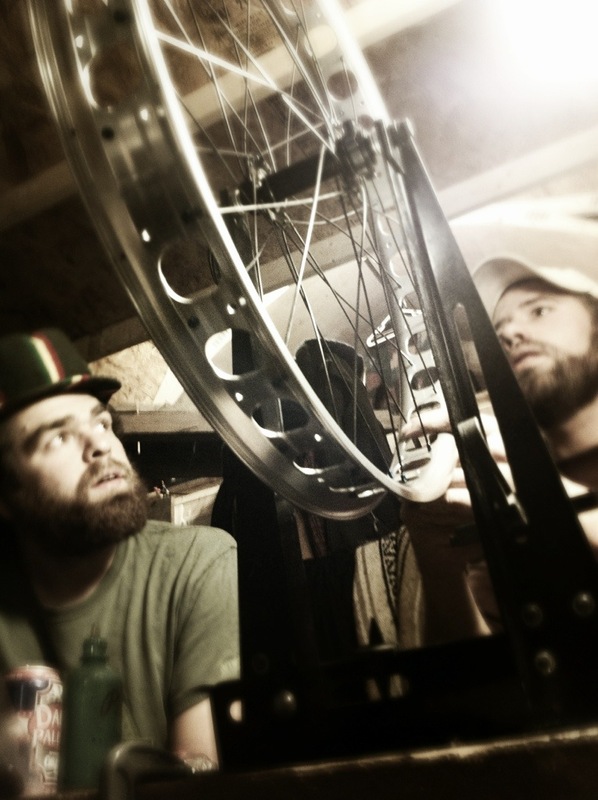 Again, not something to be taken lightly when you think about all you do to that bike. 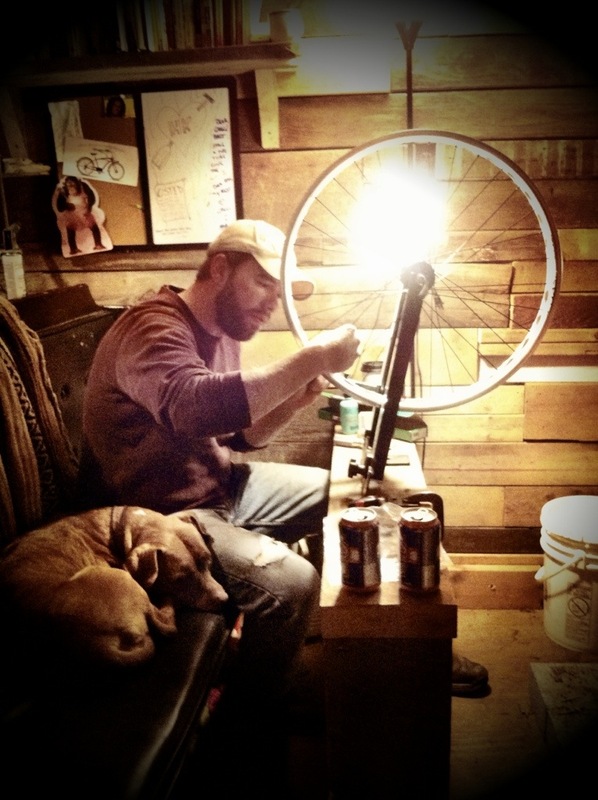 Last night, our friend and fellow rider Jalon came over to build his own new Marge Lite rim, and, with some music playing, good stories flowing, and Dinah dog looking on, he got to experience for himself the joy (and sometimes frustration) of the wheel-building experience. 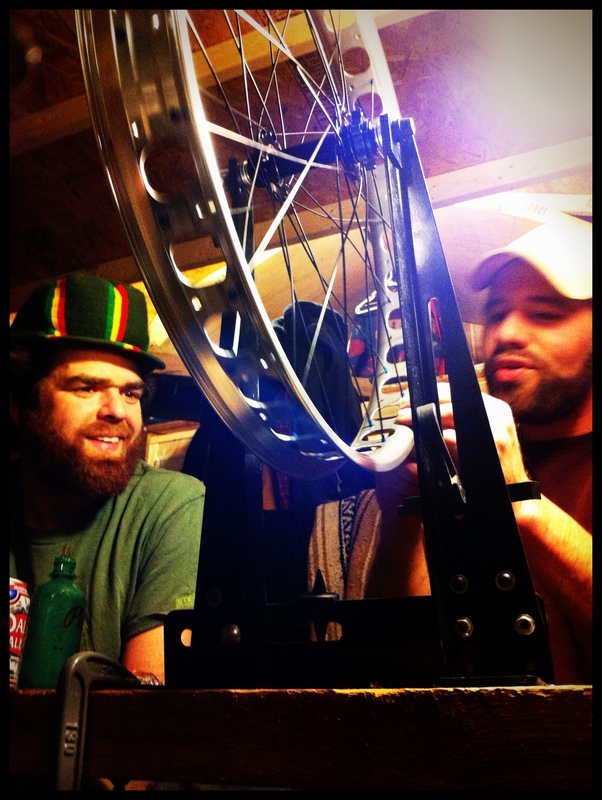 There’s room for a truing stand in the cabin? Previous PostPrevious A couple hours on Trough Creek. Next PostNext Cold feet, warm heart.